I’m not sure why this cocktail got named the Grumpy Old Man. It doesn’t seem fair, since it’s absolutely charming and that’s one thing grumpy old men are not. In my experience, grumpy old men are bitter old sour pusses, and there’s nothing sour or bitter about this drink. Maybe it’s the cure for being a grump? That could be. 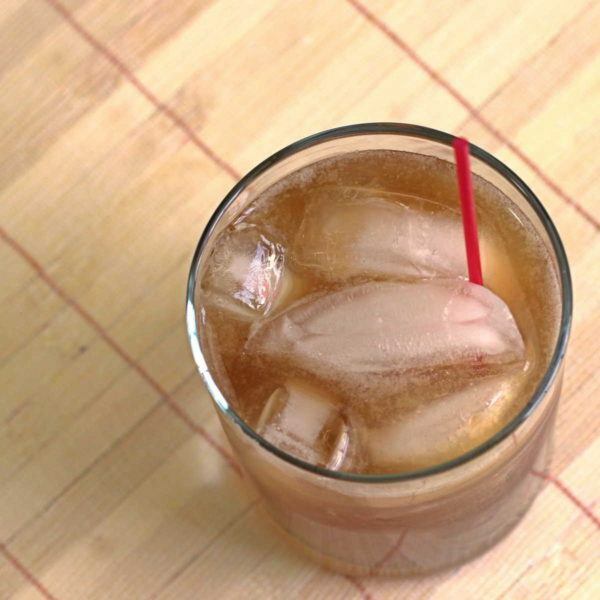 This drink adds a healthy portion of bourbon to a glass of ginger ale and lime juice. It tastes wonderful, especially with a spicier ginger ale such as Vernor’s (my personal favorite). If Vernor’s is too spicy for you, Canada Dry has a nice, mild flavor. More like a traditional ginger ale. I think of this one as an alternative to the Moscow Mule. The Mule has vodka instead of bourbon, and ginger beer instead of ginger ale. But both drinks have the flavors of ginger and lime. This one, of course, adds all the notes of whatever bourbon you use. This is such a great drink for bourbon lovers. All the flavors in it are so well-balanced that you can still taste the bourbon, but it’s not overwhelmingly dominant. If you don’t have a go-to bourbon for cocktails, here are some suggestions. Makers Mark gives you a nice, smooth flavor. Jim Beam Kentucky Straight works nicely too, and offers a little more punch. Any bourbon you like tastes great with ginger ale and lime. In my humble opinion, this drink is more interesting than the Moscow Mule because the bourbon adds more flavor than the vodka. Of course, if you don’t love bourbon, you may feel differently. But it’s one of those cocktails everyone should try, especially since the ginger and lime are the dominant flavors. This is a drink that was made for unwinding at the end of a stressful day. 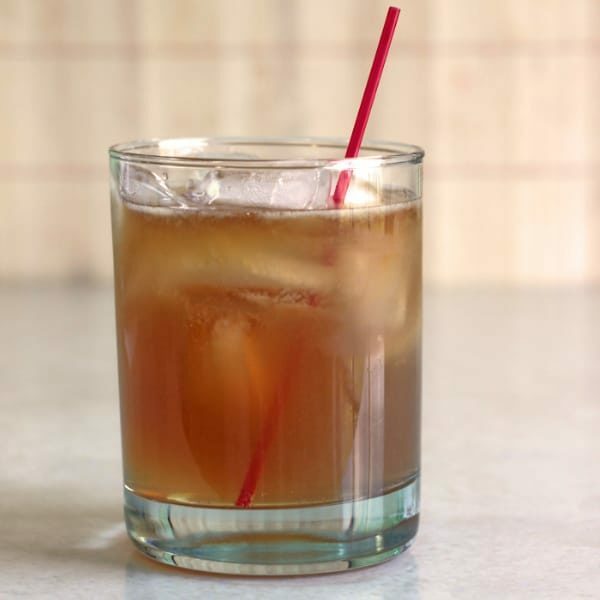 Two ounces of bourbon relaxes away a lot of tension, while ginger ale and lime refresh you. You can enjoy this one along with just about any meal. Try it with these Balsamic Glazed Steak Rolls from TBSP. Fish Parcels with Ginger & Spring Onions from Fuss Free Cooking would be delicious with it, too. You can also enjoy this drink with a nice salty snack – pretzels, nuts, or maybe asiago cheese crisps. It’s perfect with traditional bar snacks. 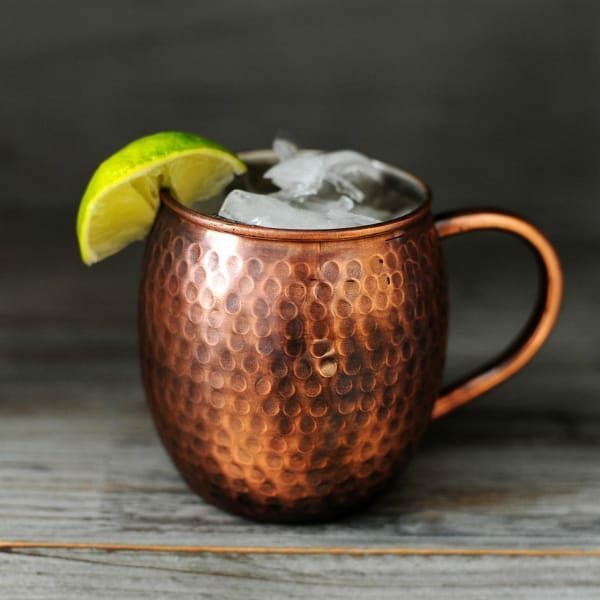 If you want to make it really special, try serving it in this gorgeous antique copper finish Moscow Mule mug (pictured below). Or you could go for a more traditional style copper mug. Of course, the glass doesn’t really matter. This is one delicious drink no matter what you serve it in. If you like this drink, try the Naughty Gnome. It features Vernor’s with Captain Morgan Spiced Rum. That’s two ingredients that have hints of spice, so it’s a drink guaranteed to wake you up. 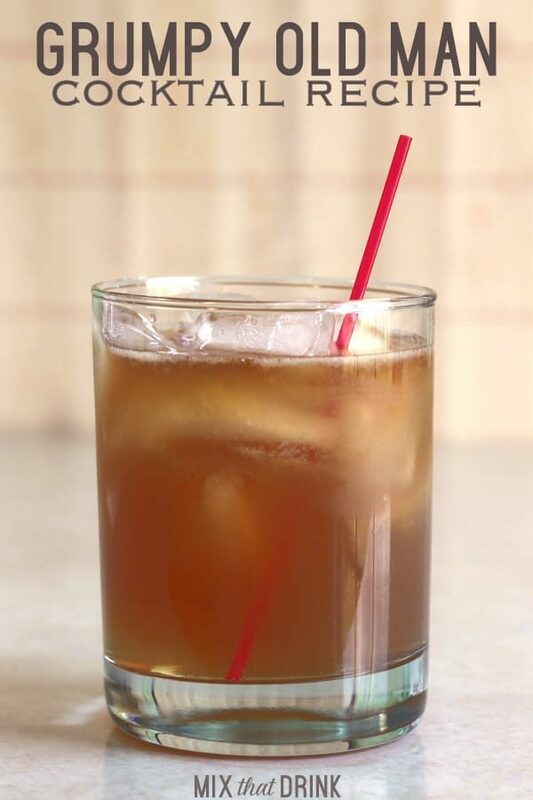 The Grumpy Old Man cocktail features bourbon, lime juice and ginger ale. It's a lot like the Moscow Mule, but with bourbon instead of vodka. This gives it more flavor, and you may find you like it even better. Put ice into an old-fashioned glass. Add the bourbon and lime juice, and then top it off the rest of the way with ginger ale. This is a close second for the Moscow mule. If you like Moscow mule you will probably like this as well. Wow! I have been drinking these for YEARS, good name for it!